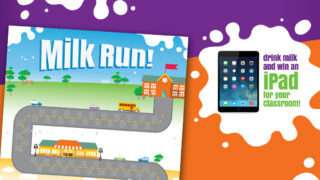 The School Milk Foundation of NL would like to extend a huge congratulations to the four winning classrooms of the Milk Run Promotion. Each winning classroom was awarded with a classroom iPad. Thank-you to all who participated. We hope you had fun and learned a little about dairy farming in Newfoundland and Labrador. Where did cows come from? Canadian dairy cows originally came from overseas. As our ancestors moved here, they brought dairy cattle with them. The most popular and common breed of dairy cow in Canada is the Holstein.